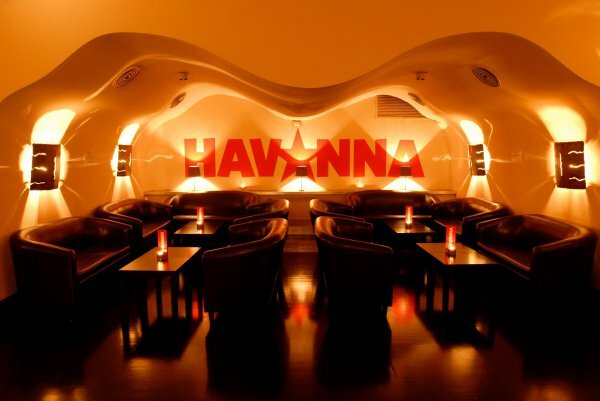 Berlin is the techno capital of the world, home to the best club in the world (Berghain) and some of the most fun, surprising and long-opening venues around (one club used to have a labyrinth in it). But what if the chest-thudding beat and repetitive dance moves are not really your style? 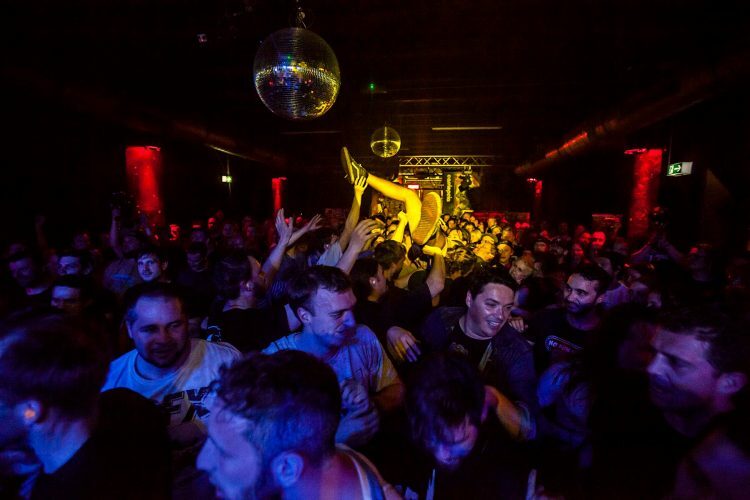 Well never fear, we have you covered with the 5 best (non-techno) clubs in Berlin. At Bassy they play all the hits…as long as they were released before 1969. From western swing, to jazz, from dirty blues to R&B, from country to 60s garage punk. The DJs use vinyl only, there are often live shows and as Bassy says on its website “If you have a little bit of soul along with some style and taste then this is the place for you”. Unlike most clubs in Berlin, the more dressed you are the better your chance of getting in – think suits, uniforms, hats, corsets, fishnets and glitter. At the very least, bring your dancing shoes! This sub-culture club is in the heart of the RAW Gelände in Friedrichshain – a graffiti-covered expanse of ex-train repair buildings that is now a cultural centre for creatives, a hub for climbers, and a great inner-city location for skaters. Cassiopeia plays the full gamut of hip hop, R&B and club classics. Even better, you don’t have to wait until the weekend – Super Tuesdays will see you twerking away to Super 80s, hip hop and disco. 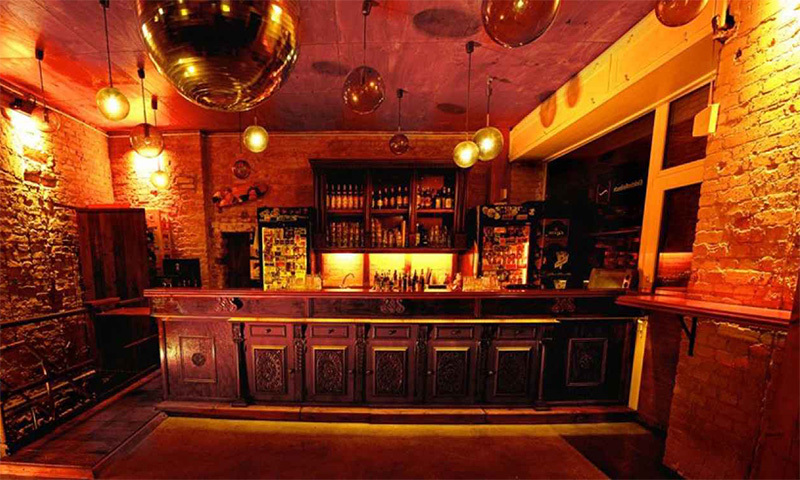 This small, laid-back lounge bar/club plays a variety of musical styles – the small basement floor is where you will want to go for R&B and hip hop. Outside, the door people are generally very nice and there is often no door charge, and inside there is an eponymous cocktail that will rock your dancing socks off – all ginger and whiskey. Prepare to dance it out and get sweaty. If you need to take a breather, you can always settle back on one of the couches and play Super Mario on the Nintendo. Why not? 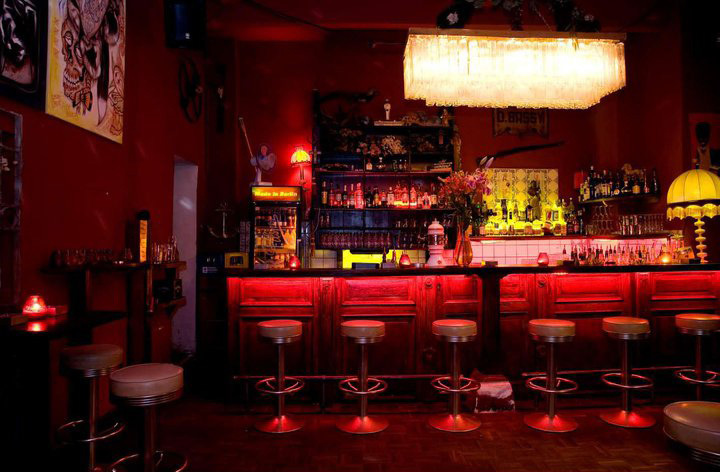 Salsa and all things Latin seem to be much more popular in the western part of Berlin – so head to the western district of Schöneberg and get ready to shake it. 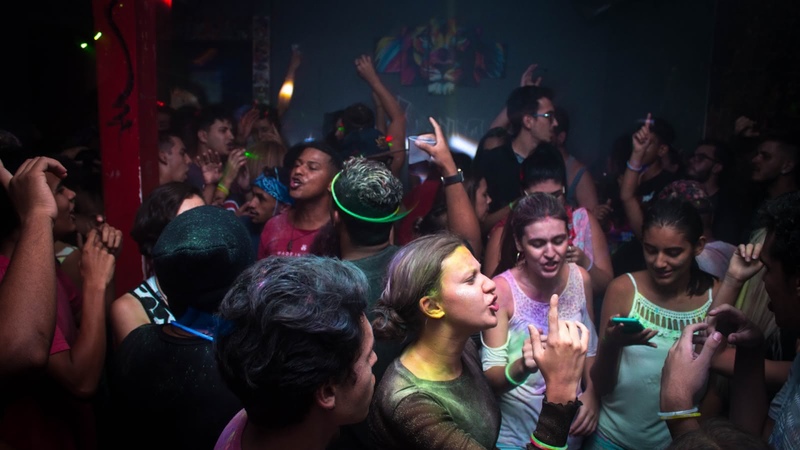 Over 4 dancefloors Latin beats (including salsa, bachata, merengue and reggaeton) are played alongside hip hop and dance classics. Don’t know how to salsa? No problem, there are dance lessons every Wednesday, Friday and Saturday. Last, but most certainly not least, Matrix club will always be there for you. Open 365 days a year, with 7 floors playing different music styles, it is the non-techno favourite in Berlin and is usually very busy. 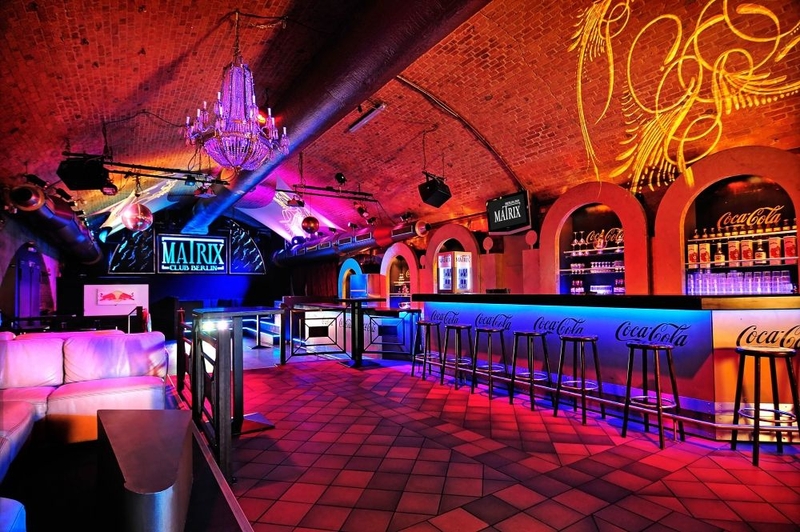 The club is located in the basement vaults of the Warschauerstraße S bahn station and, compared to other large clubs, is usually relatively cheap to enter (€6 to €12). It is definitely a place to end the night (or nights depending on your level of endurance). Want to jump the cue at Matrix? The SANDEMANs Pub Crawl ends at the club and the ticket price (€12) gets you free VIP entry (so no lining up!) in addition to all the four excellent bars you visit before (oh, and all the free shots).